Cindy Hyde is a podcaster, author, minister, counselor, life coach, and CEO/Founder of The Healing Center. Listen to hear lively interviews with artists of all kinds! Indie Musician / Songwriter - Cory Enderby - Grunge, Blues, and Rock define his style. 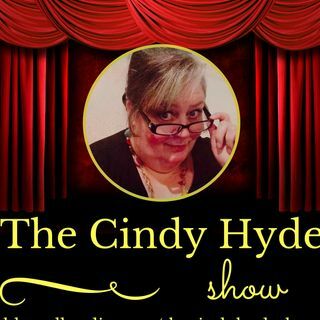 Cindy Hyde Live provides interesting interviews with interesting people who have something interesting to say. You're sure to be encouraged, educated, and empowered by her podcasts. Looking at the forefathers and foremothers in ancient history gives us a sense of who they were, what life experiences they had, and how we can learn from them. We can learn many life lessons from those who have gone before us. This ... See More study includes 52 stories from both the Old Testament and the New Testament. Each journey, each path, each story has a unique viewpoint of God’s character. We can learn about Him through the way He interacted with His children and still does. We learn how He loved them, taught them, corrected and chastised them, lead them, and blessed them. We can learn what pleases God, thereby obtaining His blessings. We can also learn what displeases God, thereby refraining from doing the things the ancients did that caused their demise. Each of the 52 ancient stories provides insights into God’s love for His creation, His grace, longsuffering (patience), and everlasting mercy. The stories open a window into heaven where we can view God’s character throughout the ages. Each story is printed in the King James Version Bible for the sake of unity in the study. Each story has a set of 12 basic questions for personal reflection and application and for group discussion. The study is designed to allow adults to learn from one another, to share insights and wisdom from their own life’s experiences, and to glean insights and wisdom from others. We all travel on a different path, we are all on a journey in life, we all have unique experiences that can help someone else. This Bible study will give you wisdom, knowledge, and understanding that will help you in every area of your life. Live with Cindy and Cory brings you enlightening discussions of real life experiences that will encourage you, enlighten you, and empower you on your journey in life.